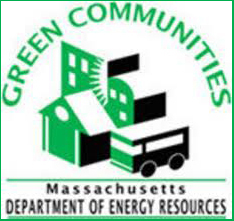 The state of Massachusetts wants to give grants to city and town governments to further their pursuit of energy saving programs. In 2008,the governor signed The Green Communities Act, which sets aside 10 million dollars a year from revenue from the Regional Greenhouse Gas Initiative for this purpose. In order to obtain the money, each community must agree to (1) perform a municipal energy audit, (2) allow for zoning of renewable energy facilities, and (3) embrace an enhanced energy efficient building code. In Longmeadow, the second requirement already has been met by virtue of a zoning bylaw amendment passed and accepted in 2010. 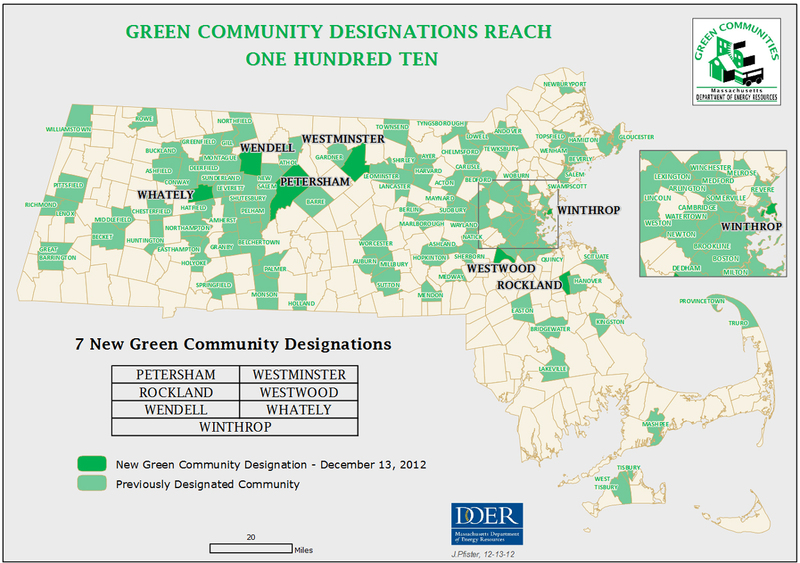 As of December 2012, 110 communities have become designated as Green Communities and are eligible to receive funding. Surrounding communities who participate in this program include: Springfield, Holyoke, Monson, Palmer, Belchertown and Easthampton. 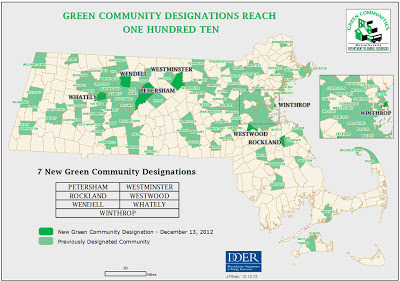 For additional information read this summary about local programs funded by the Green Communities Act or watch the presentation below by Jim Barry of the Massachusestts Green Communities Division (courtesy of LCTV). The Longmeadow Transition Initiating Committee is seeking to engage the citizens of Longmeadow in an educational process to facilitate the understanding of the regulations and the adoption of the building code at the annual town meeting in May. David Miller, a member of the Transition committee, will speak about the process at the Longmeadow Senior Center at 12:30 PM on March 20. All interested citizens are invited to attend this important meeting.